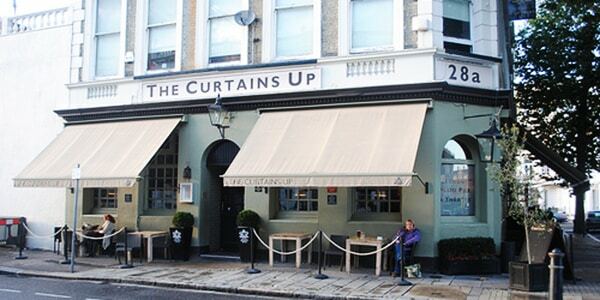 The Barons Court Theatre is situated in the basement of The Curtains Up pub. It was opened in 1991. The artistic director is Ron Phillips, who produces a varied bill of classic plays and new writing (with a heavier emphasis towards classic) in short runs. Examples of this include Antigone, Crime and Punishment, and Tess of the d’Urbervilles alongside productions such as The Obama Musical, Bitter Fruits of Palestine, and The Play. Every Sunday, the theatre hosts The Magic Cavern a show of illusion presented by Magician Richard Leigh. The theatre is an intimate space, consisting of 57 cinema style seats placed around three sides of the stage.